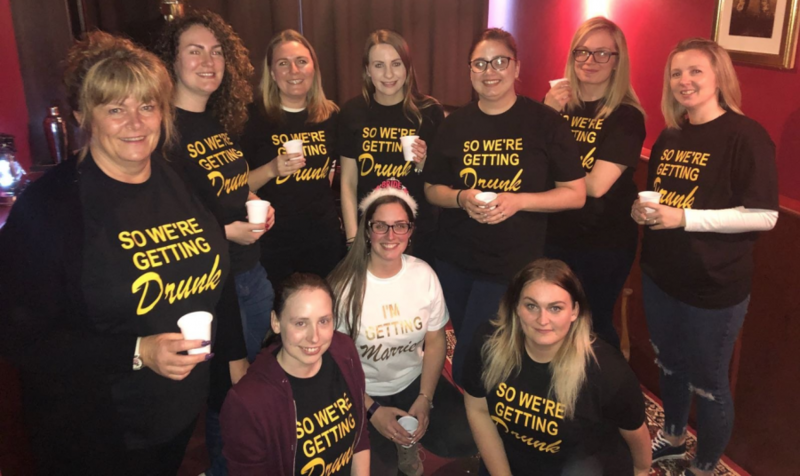 Why Have Your Stag or Hen Do in An Escape Room? Playing an escape room brings everyone together in one activity that everyone can get involved with. It’s fun, exciting and we have capacity for up to 20 players at once. Escape Rooms provide healthy competition, increase social bonding, are fun, and give you a great talking point. Why Choose Us For Your Stag/Hen Do? No matter your team size, we can provide you with a great escape room experience. Built with fun in mind, our escape rooms challenge you in an exciting, social and hilarious adventure that’s suitable for everyone. 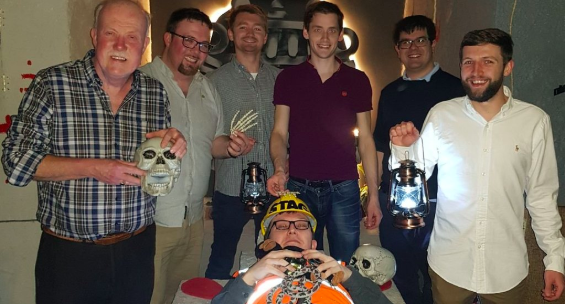 At our Southampton Escape Room, we are able to host up to 20 players per session in a 3-team race. We are in the centre of Southampton, close to loads of restaurants, pubs and bars for you to enjoy afterwards. We are one of the best escape rooms in Hampshire, so you know your fellow party people are gonna love it. Take a look at our TripAdvisor reviews. How Long Will the Escape Room Take? This depends how fast you can escape the room. The game brief will last 15 minutes. The game itself will last up to 60 minutes. The debrief and photo session will last another 15 minutes. Up to 90 minutes in total. If you book all 3 of our escape rooms, we can start all teams simultaneously, so that you can all race against each other. You will not find anywhere else in Hampshire that does this. From only £18 per player, our escape room experiences are one of the most fun and cost-effective activities in Southampton and Portsmouth. For a 25% deposit of the total cost, you can secure your booking. We also offer 10% off your bill at Nousha Lounge on East Street, for cocktails, coffees and cakes before and/or after your escape game. Still Not Sure if You are Making the Right Choice? See our TripAdvisor reviews to see what our previous stag and hen players thought. Speak to one of our friendly games hosts by calling us on 07828222010 (hours Monday-Friday: 12pm-9:30pm, Saturday and Sunday: 10am-9:30pm) or chatting to us live on our website chat (hours Monday-Sunday: 10am-10pm). Our hosts are knowledgable, accommodating and friendly – they will do their very best to meet your needs. 5 stars across the board on TripAdvisor, Facebook and Google. LIKE THE SOUND OF HAVING YOUR DO IN AN ESCAPE ROOM?